Posted by Carolyn Burns Bass in commercial fiction. MediaMonday, August 6, 2012: How Storytelling Makes Us Human. Source media from August 3, 2012, New York Times Books review by David Eagleman of Jonathan Gottschall’s The Storytelling Animal. Death is inescapable. The sting of death is universal, it’s bite pierces through layers of self-protection and into the heart. On Wednesday in #litchat we will discuss novels about death and its effect on those left behind. 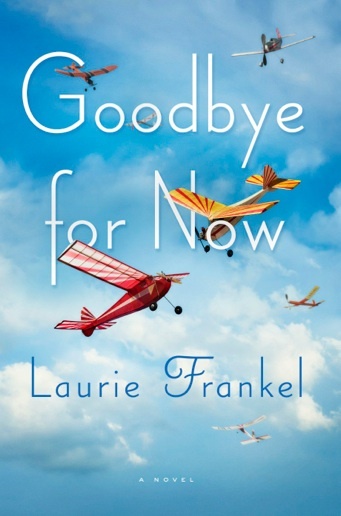 Then on Friday, we’ll visit with Laurie Frankel, author of Goodbye For Now. What if you could communicate with a dead loved one through your computer? In Goodbye For Now, Frankel puts a 21st century spin on the seance when protagonist Sam Elling writes a computer program that allows his girlfriend to communicate through email and video chat with a digital rendering of her recently desmised grandmother. The program is so effective at easing Meredith’s grief and helping her move on, the couple see a business opportunity with the program. The result is RePose, a service that allows people to speak to their dearly, and sometimes not-so-dearly, departed loved ones. Some people use RePose for that final farewell, while others use the service to avoid it. As the business grows, so does Sam and Meredith’s concern for what would happen if one of them should pass away. Laurie Frankel lives in Seattle with her husband, her three-year-old son, her border collie, and many, many books. She’s an East coaster originally, a fact people often guess before she’s even opened her mouth. Her first novel, The Atlas of Love, came out in August 2010, so August seems to be her month. Her second novel, Goodbye For Now, comes out August 7, 2012 in the U.S. Goodbye For Now has been optioned for film and translation rights have sold in 27 territories. Laurie was just named one of ten women to watch in 2012. She is a proud core member of the Seattle7Writers. Until last June, she was teaching writing, literature, and gender studies at the college level. Now she is thrilled, honored, grateful, and occasionally terrified to be writing full-time. Click here to read the chatscript from Laurie Frankel’s visit to #litchat. Watch the video trailer for Goodbye For Now. 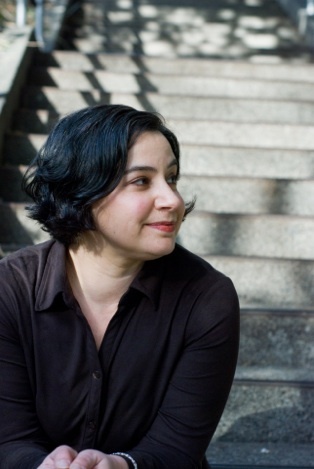 Follow Laurie Frankel on Twitter: @Laurie_Frankel.